Special Counsel Meggan Duffy served on a panel that discussed, “Protecting Your Intellectual Property Globally,” before the International Trade Association (ITA) of Greater Chicago on November 2, 2011. The ITA, along with the Alliance for Illinois Manufacturing/NORBIC and the Chicago Intellectual Property Alliance (CIPA) sponsored the event. Panelists discussed the steps companies can take to protect their IP assets, as well as how companies may maximize the value of their inventions, brands and trade secrets. Ms. Duffy provides opinions and counseling and secures patent rights for clients in the mechanical, electromechanical, consumer products and medical devices sectors. Ms. Duffy has extensive experience teaching at DePaul University College of Law and is a member of CIPA. 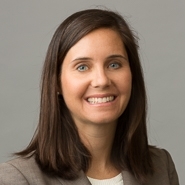 In addition to her client representations, Ms. Duffy serves as Director of Professional Development for Marshall Gerstein & Borun LLP, assisting with the Firm’s professional training.